Victor Frankenstein is a lonely grief-stricken sixteen-year-old boy mourning the death of his twin brother and his inability to save his brother's life. He is sad and moody and inconsolable until he discovers the unthinkable--a way into the world of death--and attempts to bring his brother back to life. He is aided by his brother's love Elizabeth and their best friend Henry. I was sucked into this story from the very beginning. 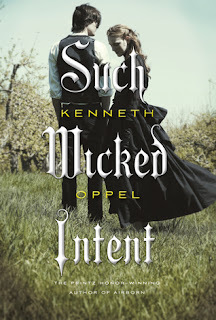 I've enjoyed Kenneth Oppel's work in the past and that was part of the reason I picked this book off the new YA book shelf without knowing much about it (more on that later). Oppel has done a great job of creating a teen version of Frankenstein--the scientist not the monster we erroneously call Frankenstein--we can see how Victor starts off with understandable intentions, to be reunited with his twin, but then quickly becomes consumed with power and less noble motivations. The setting and time period are firmly established by Oppel; there is a good blend of modern science and old world magic. Elizabeth and Henry are not quite as complete as Victor is, but that's okay. This is Victor's story and his is the one we want to read about. The entire time I was reading I felt like I was *in the middle* of Victor's story, that it had already begun and I was just allowed to witness this episode. I thought it was just a literary device and was not bothered by it at all. In fact, I liked it and thought it worked well. Then, just moments ago, as I was thinking I had better write my review soon the title "His Dark Endeavor" came to me. I didn't know why. I searched it and sure enough Such Wicked Intent is Book TWO of The Apprenticeship of Victor Frankenstein with the first book This Dark Endeavor (I was close). 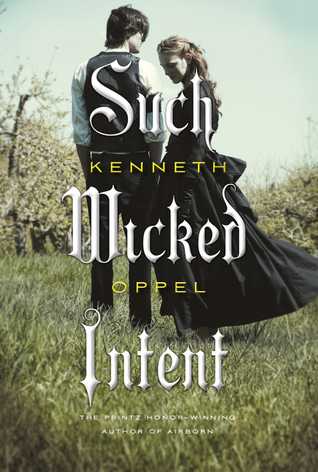 I did not feel like I was missing anything having not read the first book, Such Wicked Intent easily stands alone, but now I understand a few of the references to Victor's previous exploits. This is a perfect gateway into Mary Shelley's classic Frankenstein. Teens (or grownups) who have already read the original will be interested in this story of the doctor's past and the events that shaped him into the man who created the monster. Teens who have not yet read Frankenstein may be prompted to pick it up after reading Oppel's page-turner prequel(s).